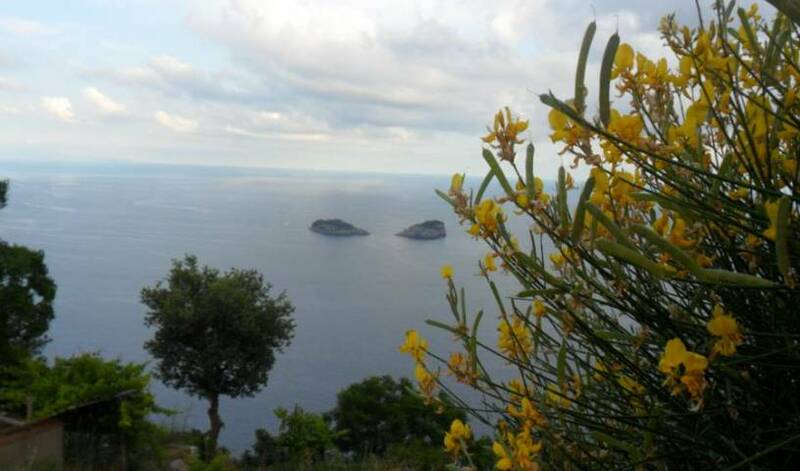 Hostel Sorrento is located in one the places most beautiful in the all world the “Sorrentine Peninsula”. Staying in our Hostel you can to have to visit easily and in a short time place like Sorrento, Positano, Amalfi, Capri, Ischia, Pompeii. Casa Susy is a family and welcoming bed and breakfast in Sorrento in the area of Sant' Agnello, just 15 minutes walking distance from Sorrento. The bed and breakfast is situated in a quiet villa. Independent Apartments in Villa , in a noiseless environment. Three rooms independently – 50 Sq metres– include a bedroom, a second bedroom with barrel vaults, and bathroom with shower and hair dryer. The apartment is elegantly furnished and provided with independent heating system for winter holidays. Into the second bed room there are three single beds. The cooking-area has all cooking facilities for self-catering, including oven and fridge, it also has a washing machine, and colour TV. 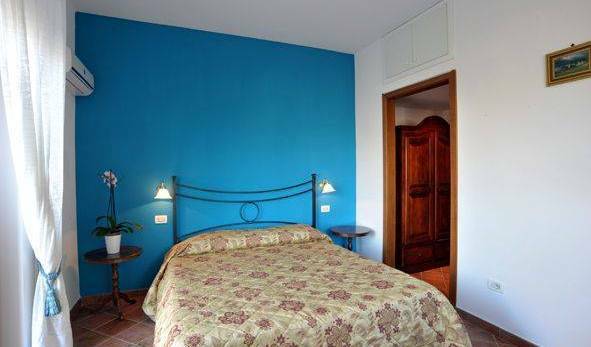 The apartment is surrounded by a typical Sorrento’s citrus grove and centuries-old olive trees, in a totally noise free environment NOTE : Bed Room and Living Room are separated by two doors , therefore it is possible to accommodate two couples or a group of friends. The main feature of the Residence Casale Nunziatina it is the quietness, far away from the City traffic, and immersed in the local countryside. The suite GIGLIO is a two rooms independently – 50 Sq metres– include a bedroom, the living room , and bathroom with shower and hair dryer. The apartment is elegantly furnished and provided with independent heating system for winter holidays. . The cooking-area has all cooking facilities for self-catering, including oven and fridge, it also has a washing machine, and colour TV, WIFI . 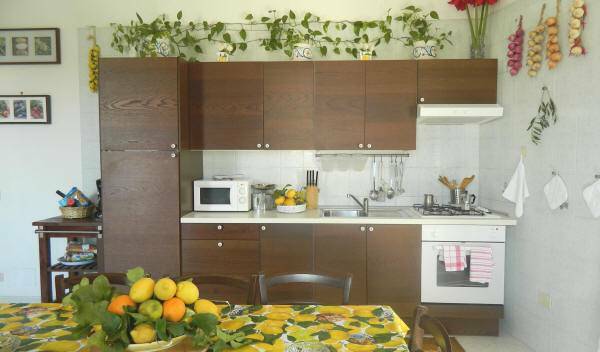 The apartment is surrounded by a typical Sorrento’s citrus grove and centuries-old olive trees, in a totally noise free environment . 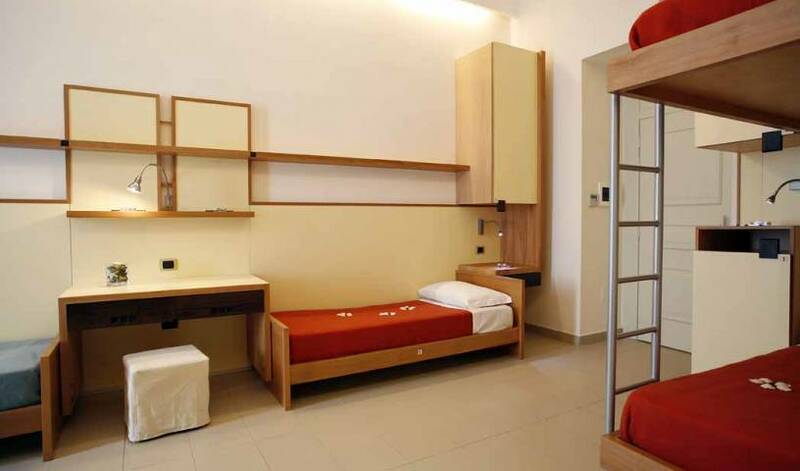 This suite is ideal for two persons but into the living room cam be put two single beds to accommodate two more guests. NOTE : Bed Room and Living Room are separated by two doors , therefore it is possible to accommodate two couples or a group of friends. The main feature of the Residence Casale Nunziatina it is the quietness, far away from the City traffic, and immersed in the local countryside. ROSA is a single room , 35 sq/mts. It is a roomy apartment and it is elegantly furnished. The apartment is including : Bathroom with shower and hairdryer; a wide cooking area with all the utensils for selfcatering including oven and frigo; Table and chairs for lunch, Writing desk, Living area with armchairs and TVcolor; a double bed ( or two single beds if required ). This apartment it is ideal for two persons!! But an single bed can be added for an extra guest. The apartment is surrounded by a typical Sorrento citrus grove and centuries-old olive trees, in a totally noise free environment . The main feature of the Residence Casale Nunziatina it is the quietness, far away from the City traffic, and immersed in the local countryside. La playa situato al centro di Sorrento con ampi appartamenti dotati dei più moderni comfort è il luogo ideale per una vacanza indimenticabile. a four stars hotel, with swimming pool, fitness centre located at about 10 minutes walking from the city centre of Sorrento . 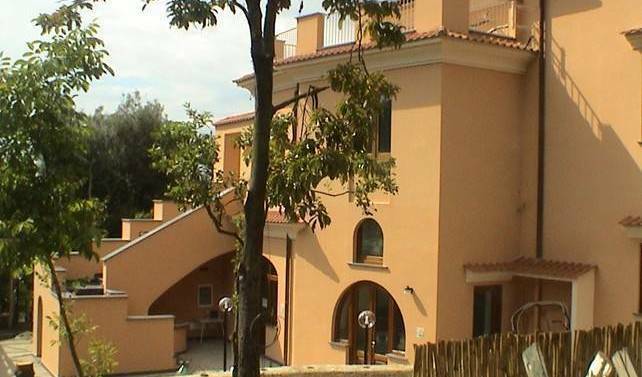 Three-room apartment of 80 m2, sleeps 4+1, located in Sorrento centre, near the train station, the bus stop and the port. Air conditioning. Luxury apartment in Sorrento center. 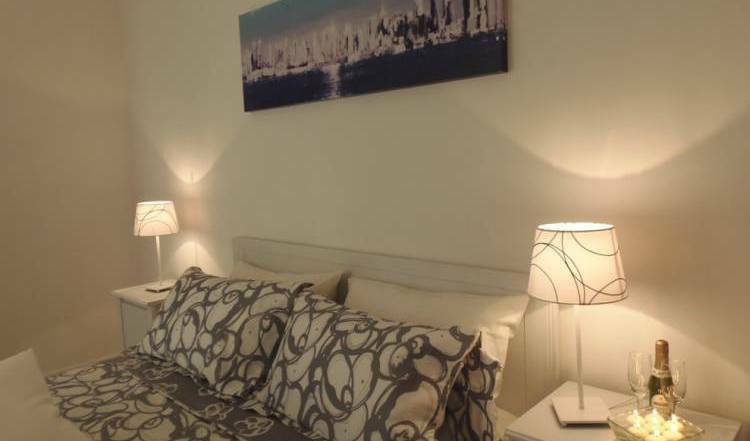 Luxury apartment for 4 people with 2 doble bed rooms, kitchen, 2 bathrooms, living room, kitchen and sea view. Daily cleaning, taxes, linen and towels included. Relais Amore is located in Sorrento in an apartment complex, with swimming pool and tennis court, surrounded by lemon and orange groves, and a garden full of lush vegetation. Double room with queen bed, private bathroom, balcony with table and chairs, air conditioning, heating, internet WI-FI, refrigerator, TV. 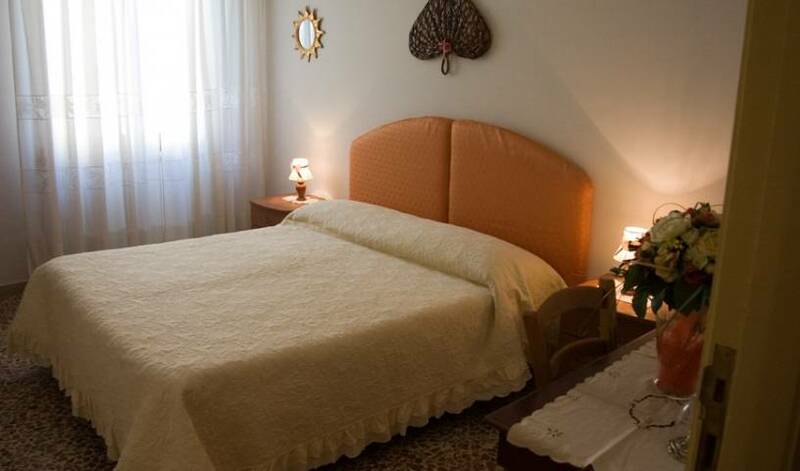 Nice and pretty Bed and Breakfast in a villa located in the quietest area of the hystorical centre of Sorrento. Palazzo Torre Barbarais the ideal place for those who prefer to chill out and relax. PRETTY AND LITTLE ANCIENT VILLA IN A PANORAMIC AREA OF SORRENTO. Welcome to a corner of Paradise on the Amalfi Coast.... The Hotel Conca d'Oro, located in the centre of Positano, offers you fantastic views and a dreamlike atmosphere. Baia Hotel rises in front of the beach among the best ones of the peninsula of Sorrento. 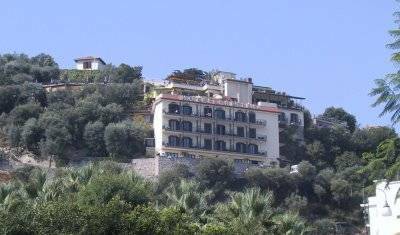 Hotel L'Ancora is nestled against the cliff overlooking the beach and the bay in front of Positano. Each room has its unique view of the sea. Le stanze da bagno presentano decori in ceramica vietrese e sono attrezzate con box doccia; dispongono di asciugacapelli e kit-cortesia. Oltre ai moderni conforts ( aria condizionata, telefono con linea diretta, frigobar, TV satellitare), le camere sono tutte dotate di terrazzo o balcone attrezzato con vista fronte mare; in questa piccola oasi di tranquillità gli ospiti avranno il privilegio di godere del sole e del paesaggio in totale comodità. Le stanze da bagno presentano decori in ceramica vietrese e sono attrezzate con box doccia in cristallo o vasca idromassaggio Jacuzzi; dispongono di asciugacapelli e kit-cortesia. Oltre ai moderni conforts ( aria condizionata, telefono con linea diretta, frigobar, TV satellitare), le camere sono tutte dotate di terrazzo o balcone attrezzato con vista fronte mare; in questa piccola oasi di tranquillità gli ospiti avranno il privilegio di godere del sole e del paesaggio in totale comodità. The hotel is situated only 50 metres from the first few steps of the world famous walk “The Path of the Gods”, and close by to the beginnings of many other beautiful walking trails, ideal for lovers of the outdoors. Albachiara b&b is located in Agerola (hamlet San Lazzaro), a small village on the Amalfi Coast and Sorrento Peninsula. It's swallowed up by colors an scents of the maquis that make your holiday perfect for a rest of your body and your spirit. A tastefully decorated room with its independent entrance on a large terrace. It has heating system, tv lcd and a private bathroom complete with shower, towel rail heater and hairdryer. Guests of this charming hotel can relive the fascinating story of nearby Pompeii, or follow the evocative path of the Gods and admire the world from a divine perspective. And, in the evening, they may enjoy a wonderful sunset from the hotel garden. Le camere del beb villa rocla sono ampie luminose e ariose ciascuna rifinita con colori differenti e dotate di ampie finestre che affacciano sul giardino interno. Sono situate in un ala separata dell’abitazione e dispongono pertanto di ingresso indipendente. Ciascuna è dotata di bagno privato , fornito di box doccia , AC, WI_FI e tv. Le camere sono matrimoniali con possibilità di aggiungere un terzo letto. Welcome to Pompeii, where ancient history continues to live in harmony with the sacred of the Catholic faith. Between the beautiful Naples and the fabulous Sorrento Coast you will discover the best of our region. Very spacious double room. All rooms have a large private bathroom with a window. Furthermore: Courtesy set consisting of: slippers, shower / shampoo, headphones, set ready to sew. Towels and shower towels Hairdryer Conditioned air Internet wi-fi throughout the structure Flat screen TV Balcony Umbrella service The whole structure is non-smoking but for those who want the rooms have a comfortable balcony for a few moments of relaxation. Very spacious quadruple room with kitchen. All rooms have a large private bathroom with a window. Furthermore: Courtesy set consisting of: slippers, shower / shampoo, headphones, set ready to sew. Towels and shower towels Hairdryer Conditioned air Internet wi-fi throughout the structure Flat screen TV Balcony Umbrella service The whole structure is non-smoking but for those who want the rooms have a comfortable balcony for a few moments of relaxation. The newly built Bed & Breakfast STUDIO 83 is located on the mezzanine floor of an elegant condominium just a few steps away from the center of the Historic City of Pompeii. hostel beds and regular private rooms in various different buildings around town. Located in front of the shrine in Pompeii circumvesuviana, and 'the ideal place to visit the sanctuary excavations, as well as Sorrento, Naples, Herculaneum and the islands. The Hotel Villa Cimbrone is in the beautiful hill town of Ravello, situated about midway along the extraordinarily scenic Amalfi Coast. Napoliday is located in the heart of Naples City, in a luxury quarter of Chiaia, the most exciting and fashion area, where best restaurants and high fashion shops are concentrated. Hostel and Hotel Bella Capri is located in the most central part of the City, right in front of the port and next to the Bus station to Pompei and Amalfi Coast. Sant'Eligio Hotel arise in one of the oldest neighborhoods in the city next to one of the historic churches of naples: the church of st Eligio Maggiore. Located in the heart of the city, it is a direct line between port, railway station and city center. This room is decorated in a modern style emphasizing mainly the colors black and white; The black coated bed is supported by an elegant circular structure in white leather. This room is decorated in a modern style emphasizing mainly to the blue color; The round clamshell bed with LED adds a touch of class and elegance! In the heart of Naples, Reginella Residence is a perfect starting point to live the city, for pleasure or for work. 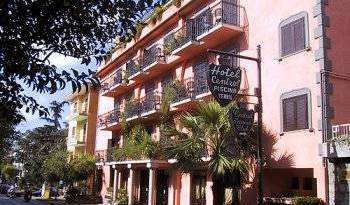 Hotel D'Anna is a comfortable two-star hotel, family management since 1949, located in Corso Arnaldo Lucci 199, about 30 meters from Central Station in Piazza Garibaldi, near the business center and the historic center of Naples. Double room with private bathroom. Triple room with private bathroom, television and ventilation. Double room with private bathroom, television and ventilation. Single room for 1 person with a single bed, private bathroom, tv, dvd, a/c, internet wi-fi. lined and toiletries provided. Double room for 1 persons with a queen bed wooden roof of the 18"century, private bathroom, tv, dvd, a/c, direct telephone ans internet wi-fi. Balcony with double glaced Windows and lined and toiletries provided. Standard room for 2 persons with a queen bed, private bathroom, tv, dvd, a/c, direct telephone, window facing the inside court, internet wi-fi. Lined and toiletries proveded. Twin room for 2 persons with a 2 single beds, wooden roof of the 18"century, private bathroom, tv, dvd, a/c, direct telephone ans internet wi-fi. Balcony with double glaced Windows, lined and toiletries proveded. Deluxe room for 2 persons with a queen bed wooden roof of the 18"century, private bathroom, tv, dvd, a/c, direct telephone ans internet wi-fi. Balcony with double glaced Windows and lined proveded. Triple room for 3 persons with a queen bed and a single bed, wooden roof of the 18"century, private bathroom, tv, dvd, a/c, direct telephone, internet wi-fi. Balcony with double glaced Windows, lined and toiletries proveded. Quadruple room for 4 persons with a queen bed and 2 single beds, wooden roof of the 18"century, private bathroom, tv, dvd, a/c, direct telephone ans internet wi-fi. Balcony with double glaced Windows, lined and toiletteries proveded. La Residenza Umberto I sorge nel pieno centro di Napoli ( Corso Umberto I, N°293), nelle immediate vicinanze di Piazza Garibaldi (Stazione Centrale). Una struttura giovane e accogliente ideale per il turista che vuole vivere Napoli in pieno. The hotel Casanova is located in the heart of Naples, very close to historical centre and world famous National Museum. In Naples city center near the harbour to go to the islands and well connected with all the city transports. "I fiori di napoli" B&B is the best way to have a good holiday in Naples!!! Amedeo B&B is situated in the heart of "Chiaia", the most exclusive zone in Naples, only1-minute walk to the metro station of piazza Amedeo, in the city centre. Most centrally located hostel in Naples. Clean, safe, and friendly. Not too big & not too small. Great place to meet fellow travelers & relax. Large rooms, no bunk beds, huge kitchen, free breakfast, friendly & helpful staff - great energy. 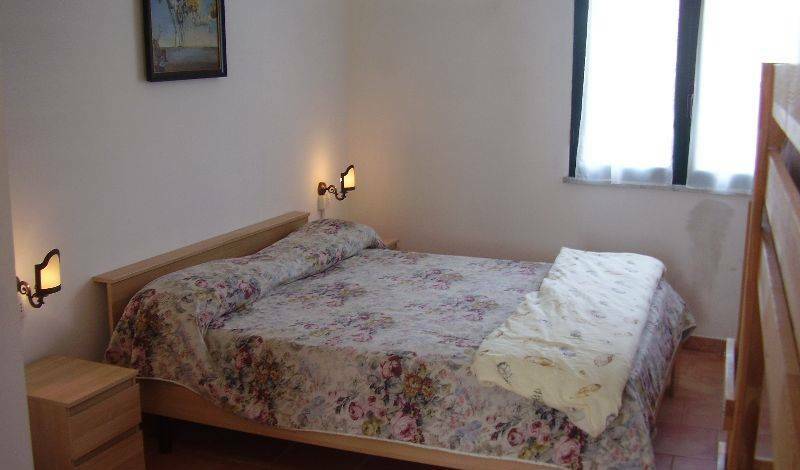 Small private room with double bed. Sleeps 1-2 people. Access to the communal kitchen, living room, and hostel staff. Free WIFI, towels, breakfast, plus tea and coffee all day. Shared bathroom located down the short hallway. Private Ensuite, with a small double bed. Perfect accomodations for a single person or a couple who doesn't mind getting cozy. The room is basic, but you have access to a full kitchen, common space, hostel staff, wifi, free breakfast. Large private room has a small balcony, large bathroom, free breakfast, wifi. access to a large communal kitchen, common room, friendly and knowledgable staff. You are on a separate floor so it is very quiet. New cozy backpackers Heaven right across central railway station and local trains to Pompeii and Sorrento. Maison Degas is a warm and welcoming hotel in the charming Piazza del Gesù Nuovo in the historical center, inside Palazzo Pignatelli di Monteleone, a prestigious building of the 16th century, chosen by the French painter Edgar Degas for his stay. The Hotel Zara recently has been renovated to offer the customer the right atmosphere between simplicity and elegance. A very confortable and cheap B&B Luxury. Amazini location!Right in the heart of the vibrant historic center of town. Three stars hotel in the historical centre of Naples. PC with free internet in all rooms. L’Ostello è una struttura ricettiva caratterizzata dalla condivisione degli spazi d’accoglienza con altri ospiti e da un costo medio-basso. dormitorio misto con bagno con doccia disponibile wifi all'interno della struttura prima colazione inclusa nel prezzo inclusa solo la biancheria del letto. camera comune femminile con bagno con doccia. disponibile wifi all'interno della struttura prima colazione inclusa nel prezzo inclusa solo la biancheria del letto. B&B I Colori di Salvator Rosa is your proximity accommodation, centrally located, in Naples to make you live the best experience! If you like travelling and meeting people from across the world then Naples Experience is the right place for you! La Suite Hotel & SPA is located in the Gulf of Naples, on the idyllic island of Procida. This hotel in a restored 18th-century palace is 2 minutes' walk from the seaside, and within 2. 1 km of both the Procida ferry port and Corricella. The Flag is a 3 star hotel and restaurant, located in Lake Superior country near the lake and within walking distance from the sea.